Der Artikel Carl Heinrich Reinecke (1824-1910): Von der Wiege bis zum Grabe für Flöte & Klavier wurde in den Warenkorb gelegt. 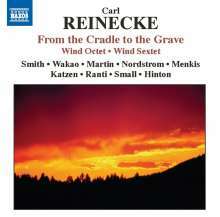 Chamber music purely for wind ensembles was largely overlooked by Romantic composers and as a result Carl Reinecke's genial Sextet and Octet for wind loom rather large in a sparse landscape. They are substantial, handsomely crafted works in which Reinecke's skill for scoring yields a sonority at once rich, noble and beautifully balanced. 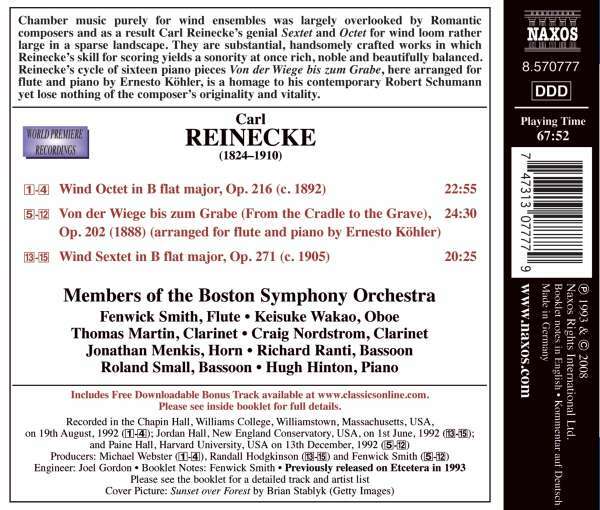 Reinecke's cycle of sixteen piano pieces Von der Wiege bis zum Grabe, here arranged for flute and piano by Ernesto Köhler, is a homage to his contemporary Robert Schumann yet loses nothing of the composer's originality and vitality.